Xiaomi USB Driver are must have for every user of this company. This USB Driver allows you to create a connection between your Windows PC to your Xiaomi device. 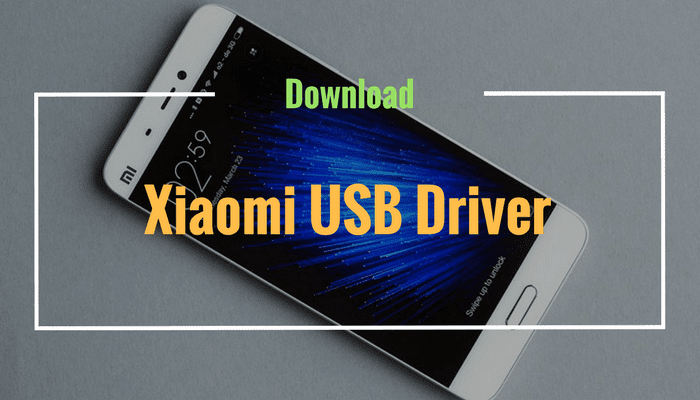 Whenever you want to transfer your smartphone data or to Flash Stock Firmware or something like that, then these Xiaomi USB Driver are must need to you.Thus how we have managed to give you Download links of all Xiaomi Mobile & Tablet USB Driver with Proper installation guide. Also, Xiaomi has released Xiaomi PC Suite for a secure connection between Windows and your device. This driver is also used to connect your smartphone in Fastboot Mode & Emergency Download Mode(EDL). So Why are you waiting for just go through below links and Download Xiaomi USB Driver for multiple purposes. Firstly let’s understand what Xiaomi USB Driver is? This are special types of files which enable you to connect your Android smartphone or tablet through USB cable to personal computer or laptop. You just have to install this driver, and then your phone will be ready to share files from your device to computer or laptop. Below is the list of various Xiaomi devices. Just find your device, and there is download link of driver next to every model. You can use CTRL + F to search your device. Installing USB Driver is a very easy task if you don’t know how to install this USB driver then simply follow below guide. You can install this driver by two different methods. The first method is direct installing & Second method is manually installing. Let’s check this both approaches if installing ADB Driver. Firstly Download & Extract USB Driver on your Windows PC. Only run the Exe File you just have to give proper direction by doing Next > Next > Finish. That All! Congratulation! You have successfully installed Xiaomi USB Driver. In Case any driver who does not have an executable file for installation then you have to install this driver manually. This approach is also same just you have to give a path of driver stored on your computer. Download & Unzip Your USB Driver in any folder of your computer. Right click your computer icon or use F10 Key to open. In this section, you will see your Android device with a Question mark. That means USB drivers are not installed yet! Now you have to the right click this option and select Update Driver Software option from this menu. Next step is you have to select Browse From My Computer and give the path of the folder where this driver is Unzipped. Only, Click Next the driver update will start, and it will finish in next few minutes. That it! Mi USB Driver is successfully installed on your Windows PC. I hope this with this guide you have successfully learn How to Download Xiaomi USB Driver for Windows 7 / 8 / 10 and Install them. If you like this article do forget to share this article.